For visual learners. 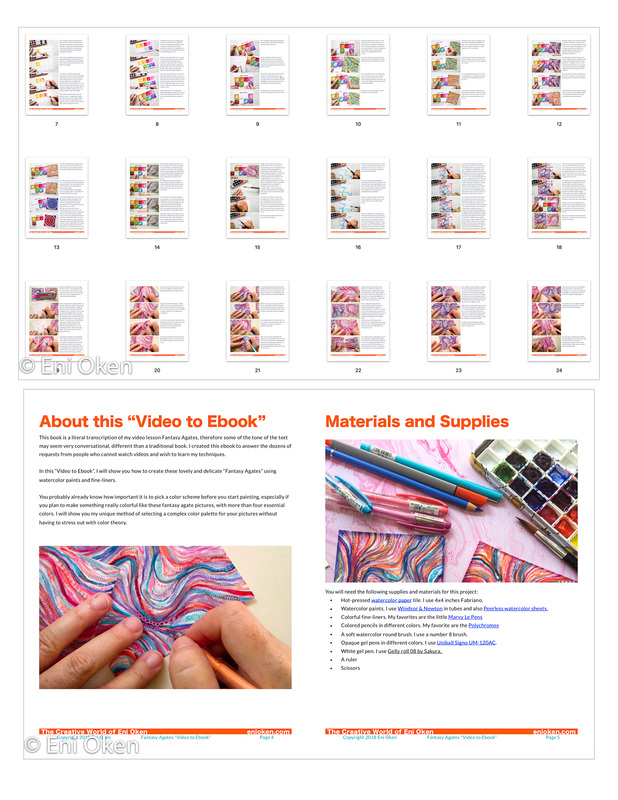 More complete, sometimes include more than one video, PDF bonuses, ebooks and case studies. Delivered via my new Teachable school — UK and EU residents are welcome! EU and UK residents welcome at the new school on Teachable! These are the newest ones! The Zentangle Method is an easy to learn, relaxing and fun way to create beautiful images by drawing STRUCTURED PATTERNS. The simple and elegant eight-step method was developed by Rick Roberts and Maria Thomas, and is now taught and practiced worldwide. If you have never taken a class with a Certified Zentangle Teacher, then start with these two lessons. Even if you have some experience with art, don't overlook the basics. Zentangle has an entirely different approach to art. Even after 30 years as an artist and art instructor (and now Certified Zentangle Teacher), I always like revisit these two lesson every year, sometimes even sooner. Combining the elegance of Rick Roberts and Maria Thomas' Zentangle 8-step method with my own experience as an artist produced some of the most creatively valuable ebooks I have ever written. Ready for more advanced Zentangle Techniques and zia fun? Get more "Zen-flow" and de-stress with these other techniques that can be combined with Zentangle or used alone. The books are printed in FULL COLOR over beautiful PREMIUM thick semi-glossy paper, with Perfect Bound binding! The colors are incredibly vibrant and match the originals.